The Obama administration has repeatedly sidestepped the issue of marijuana legalization in Colorado and Washington, offering vague comments that leave cannabis entrepreneurs in limbo. The marijuana industry – as well as state officials trying to craft rules covering the production and sale of cannabis – have no choice but to read between the lines every time someone from the administration says anything about the issue, no matter how small. A similar scene played out once again this week, when Gil Kerlikowske – director of the Office of National Drug Control Policy – responded to direct questions about the legalization of cannabis for adult use during an interview with the Canadian publication Maclean’s. Not surprisingly, he shed little light on the situation. If anything, he obfuscated it even more. Kerlikowske basically repeated the same line Obama and other officials have used in the past: Enforcement of marijuana laws will remain the same. He also said that having different states with different cannabis policies would “create real difficulties” because marijuana is still illegal federally. Kerlikowske added that the administration has “not done a particularly good job” of talking about cannabis and “where we should be headed on our drug policy” (though, notably, he didn’t attempt to do a better job of talking about marijuana during this interview). His statements raise a host of new questions. Does this mean the feds will target retail cannabis businesses in Colorado and Washington that are in compliance with state laws? Or just large ones? Or just those that aren’t in compliance with state laws? What, exactly, is a “large-scale” grower anyway? If nothing has changed in regards to the enforcement of marijuana laws from a federal level, will the government challenge the state laws? Should Colorado and Washington halt their work establishing rules for the production and sale of marijuana? Are state employees at risk of prosecution? Reactions to the interview are all over the board. 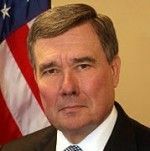 Some view his comments in a positive light, saying they indicate that Kerlikowske is “frustrated” with the administration for not taking drug policy reform seriously. Others say it’s a good sign that the nation’s drug chief and the administration have not come out directly against retail cannabis operations in Colorado and Washington in very forceful terms (as in “we will consider all retail shops illegal and will seek to close them down”). But plenty of observers take a much more skeptical view. Some say the administration has clearly not changed its tune on cannabis at all, citing Kerlikowske’s statement that marijuana is a bigger problem than prescription drug abuse. And a handful view his comments as a strong sign that the government will crack down on marijuana businesses in states that have legalized cannabis. There’s also another way to look at this: Perhaps the government is being purposely vague because it still has no idea what it’s actually going to do about legalization and therefore wants to keep all its options open. It also likely does not want to encourage other states to go down this road. Regardless, many people – from MMJ professionals, to lawyers, to state officials to entrepreneurs – are putting a lot of time, money and energy into figuring out how to make this work. Colorado and Washington are now in the process of drafting rules covering their respective cannabis industries, hoping it’s all for naught. The urgency for the government to outline its thinking on the issue grows by the day. If the feds plan to challenge the law or prevent retail shops from opening but are not saying so now, they will cause a lot of chaos in the long run. No doubt “large scale” is in the eyes of the beholder, which here would likely be the US Attorney in the district where the activity is taking place. In Montana, my former medical marijuana business clocked in at a “whopping” 275 patients. Not a lotta, but clearly enough to be considered a big deal. I have no doubt there are some significant differences of opinion on what to do at this point, but unless they plan to challenge the states in the courts, it will likely take some time before there is federal action, imho. First, neither WA nor CO have industry based on legalization (yet), and that is where the rubber meets the road when it comes to raids and arrests. Second, federal investigations take a great deal of time (and money), so just because the shoe hasn’t fallen doesn’t mean it wont. I would also point out that Obama does not seem to be exerting much if any control over the US Attorneys, which is bad for participants in state systems. It makes for an unpredictable situation when the lower ranks of the DOJ are calling the shots. Kerlikowske states marijuana is a bigger problem than prescription drug abuse. Fed up with lies, one person dies every 20 minutes in America from prescription drugs. Source from The Doctors show, etc. How many die from marijuana ? All of this is about money and greed. If the government was really concerned about anyone besides their own wallet, they would put this issue to a vote for the citizens of the country. I think that’s ridiculous for Kerlikowski to say that marijuhana is a bigger problem than prescription drugs. A man on Long Island killed 4 people for prescription drugs and they are abused in a far greater capacity. Don’t get me wrong I’m sure some people have been killed over pot but people where killed over alcohol during prohibition it’s for the money not the substance and in most cases prescriptions are stolen for personal use. More deaths, fights, car accidents are caused per year by prescriptions, alcohol and they legal. Pot is more medicinal. We live in such a free country that you can’t even grow a plant. Barack needs to step up n fulfill his statements and end the war on drugs because like he said its not working! And he smoked pot and that’s being a Hipocrite. Let the states govern themselves and worry about bigger problems like all the wars n conflicts we are involved in. We beat our chest and claim to be the shining light in the world when it is more like a cloud of influence and control. Look at Amsterdam, I’ve been there twice n would live there if I could and I never felt so free in my life, the police where not an oppressing presence like here in the states. We should stop lying to ourselves and thinking we are the best in everything and look at other cultures and learn they have been around centuries longer than us and listen to their people instead of push their own agenda or the capitalist that is. Sorry for being long winded but I am passionate about this topic because marijuhana is illegal due to lies and propaganda and it needs to stop! Gateway drug theory is a joke you only try other drugs because your pot dealer is out of pot and offers u another drug that they have and it’s still up to the person to make that descision and if there was no dealer they would be no exposure to other drugs. If it was legal and controlled like Amsterdam no hard drugs are allowed in coffee shops. What it all comes down to is that this is a political problem, not a logical one. If it were a matter of logic, we’d have repealed this prohibition a long time ago. A significant minority of voters in this country are primarily motivated by a sense of puritanical standards in which people not like them must be made to conform and punished if they refuse.